Enriched by our vast industrial experience in this domain, we are into presenting a quality assured range of Bass Guitar to our clients. 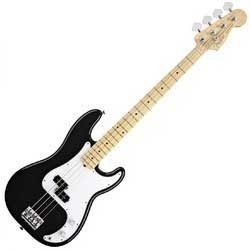 This Bass Guitar is high acclaimed amongst our clients, owing to its features like easy to handle and stunning sound. Also, offered products are made using best quality materials. Bass (-pronounced like ‘Base’-) guitar is a melody plus rhythm instrument. A bass guitar works in conjunction with the drums to anchor the harmonic framework and establish the beat. If you think you have it in you to groove to the beats, this is the instrument to pick up! Xtag Guitars X Bass -5 Pro. here is a fine new bass offering the ultimate in styling and performance. It will give you the tones, the quick action and solid response that you have been looking for truly a superb new concept in electric bases. Two pick ups. 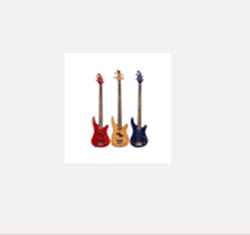 we offering wide range of Bass Guitar Instrument.